All of these trackers come with helpful features to help keep on top of your health; they each have a clock, step and sleep tracking, a silent alarm, reminders, call and text notifications, calendar alerts, and the option to switch out bands and clock faces. 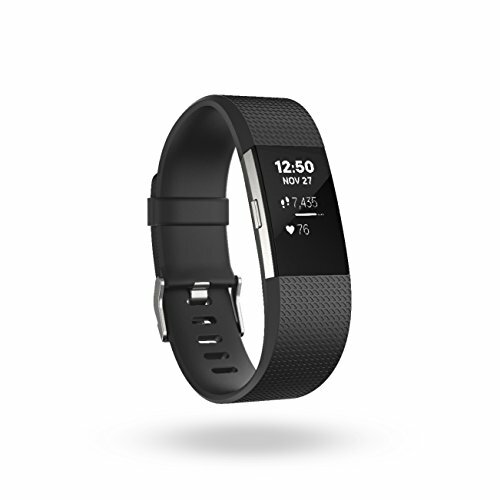 The Fitbit Alta HR, and Charge 2 pack some extras dedicated to each model as well. The Alta HR comes with heart rate and sleep stage tracking, while the Charge 2 tracks floors climbed, sleep stages, multi-sport and heart rate tracking, and a connected GPS. Each of these are discounted by $30 during this sale. The most expensive tracker is the full-featured Fitbit Ionic, which comes with all the features of the other trackers as well as being swim-proof, showing on-screen workouts, and allowing a variety of app features such as music storage and guided breathing sessions. The Ionic is on sale for $250, down from $300. Our guide to the best Fitbit fitness trackers can help you decide which is the best model for you. Most people should get the Fitbit Charge 2, though—it’s a great general, all-purpose tracker. Finally, the Fitbit Flyer wireless headphones are also included in the sale for $100, down from their normal $130. They allow up to six hours of use per charge and an adjustable fit, and can be a fine companion to your fitness tracker. The huge Fitbit sale on Amazon includes each model in various shapes and sizes. Be sure to pick the right one!